the listing must first be claimed by the authorized person. B: select "All Listings" and locate your entity there. Click on the link to access the information already gathered from public domain. You may be asked to log in if not already done. Step 3: On the right side of your listing (see image below) you will see this button - click on it! Enter your UserName and Password you entered when you registered. 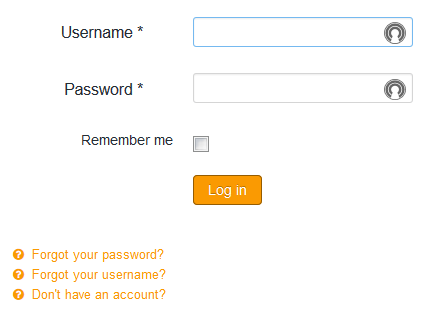 If you have not yet registered, you can do it from that screen by clicking on "Don't have an account?" at the bottom. Step 5: On the "Claim Listing/Business" page, enter the requested information to validate your claim. Note that you must enter text in all fields; in the "Function" field, if not sure enter "self", "Rep", or something else you will recognize. Once you have claimed your listing, the request is reviewed ASAP by the Registry Administrator; depending on the day and time, approval normally takes a few minutes, but it could several hours. Please realize that each claim is individually processed to ensure protection of the information. You will receive a confirmation email, and you can then return to your listing and edit any of the information you want. Make sure to save your changes. Remember that anything you enter in your profile will be viewed by visitors. You should now see the image below. If you do not see the following confirmation try your claim one more time. If still no confirmation, please contact us for support. Once your listing is claimed and you received the email confirmation (see above), you can now go back to it anytime you want, through the "Dashboard" tab, to add or delete information, make improvements, or make any change you want.